The mu-ji-man codes extends condolences to the family and friends of mr.Ramis who died on February 24,2014,Harold was an accomplished actor,writer and director and was well known for his role in the hit movie Ghost busters,as well as many others such as groundhog day,year one,caddyshack and more. The mu-ji-man codes extends condolences to the family and friends of Mr.Ralph Waite,he was an accomplished actor and he will be missed by his legions of fans who grew up with him over the years. His mu-ji-man codes reveal that he was coded to die at age 93 so he died seven years before his coded age. 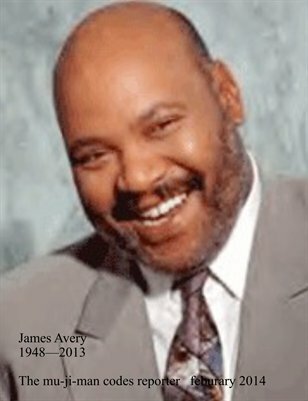 May he rest in peace as he begins his new journey. The mu-ji-man codes extends condolences to the family and friends of mr. Sid Caesar who died February 12,2014.Sid was a true original and a tv pioneer and it will be many moons before we will see someone match his great comedic achievements. His mu-ji-man codes revealed that his coded age was 94 so he died two years before his coded age. The mu-ji-man codes will like to extend heartfelt condolences to the family and friends of Mr. Tyler Moore,who died on Thursday,February 6,2014 at the age of 29.His online obituary can be read at The Frederick News Post .com/obituaries. I first learnt of Tyler’s death from a childhood friend of his,she was quite shaken up and was in a state of shock and disbelief,I did what I could to console her, and encouraged her to take the time she needs to grieve her loss,the sudden death of such a young person such as Tyler, can be quite shocking to those close to them, and in many ways, their death no matter the cause, does not make sense from a fairness point of view. My job here at the mu-ji-man codes .com is, to report on famous celebrity deaths, with special emphasis on analyzing their mu-ji-man codes and to show if the celebrity died before or after they were coded to die as determined in their birth date and natural birth name,after learning that Tyler had proudly served this country in the armed forces and had completed two tours in Afghanistan,I quite naturally felt compelled to see what was encoded into his birth date, to see what his mu-ji-man revealed. Having completed to date several hundred mu-ji-man codes analysis,I must say that doing the analysis on any young person does have its affects on me as I am sure it will have on the surviving members of that individual,so I check ,recheck and triple check my numbers to be sure that its correct before presenting it to the public.Reporting on famous dead celebrities mu-ji-man codes is a job for me so there is no real connection there between me and the numbers,but in this case Tyler is a friend of my friend and so his numbers are personal to me ,I have to personally sit down with her to show and explain all his mu-ji-man codes,so I too will feel the pain and great sense of loss of this bright and compassionate young man. To the family and friends of Tyler, you probably never heard of the mu-ji-man codes so its ok if you have no idea what I am talking about when I mention his mu-ji-man codes ,but simply put the mu-ji-man codes is a theory that “its all coded into our birth date”,meaning that encoded into our birth date and birth name is all the necessary information that will impact our lives such as our,total life span age,age of death,date of death,etc,etc. I fully realize that during the grieving period this information may not be exactly what a family member may want to hear, however we hope that sometime after the grieving period this information will help with providing an insight to the persons destiny and help bring some closure to your loss. Meaning since he died at 29 but approaching his 30th year he died 13 years before he was coded to die, so yes he is gone too soon. same as the club of 27,the group of famous celebrities who died at the age of 27,so we can view the fact that he died past 27 is a blessing because his loved ones had his presence for an additional two years,and considering the fact he completed two tours in Afghanistan and returned home is a blessing. IN conclusion I will like to state that although in life I did not know Tyler in person,working with his personal data for the past few days puts me in touch with him on a different level and, like all the other persons that I have decoded over the past year I feel a sense of spiritual connection to them and through that connection ,I receive the energy to continue my work. Feel free to contact me via email with any questions or explanations,themujimancodes@gmail.com. The mu-ji-man codes will like to extend condolences to the family and friends of ms. Shirley Temple Black, she was 85 years old.Ms temple was not only a well known film and television actress,singer,dancer and entertainer,she also served as a us ambassador to Ghana and Czechoslovakia,as well as chief of protocol of the united states from 1976-1977. Shirley Temple needs no introduction ,she was one of the most famous child star in us history and her face graced our tv and big screens for decades,her volume of work is tremendous and I am sure that for the next few days the main stream echo chamber will be replaying some of her highlights over and over.Here at the mu-ji-man codes we focus on giving you the news of the celebrities death and to show you their mu-ji-man codes. Based on the information encoded into shirley’s date of birth she was coded to die at the age of 92,she died in her 86th year so she died 6 years before her coded age. The above question how long have I got left? Is a very valid one and a question recently asked by the good doctor listed above,in his opinion piece recently in the new York times Dr.Kalanathi describes the process he is currently going through as a cancer patient and contrast that with the many hundreds of times he had to tell others that they had cancer and the emotional roller coaster he feels now in his quest to find the answer to his question. Knowing how much time we have left is simply a mathemathical function ,and as crazy as this may sound it is quite true,first you have to find out what your mu-ji-man coded age is and once you have this number simply calculate the allotted number of heart beats for that age minus your current age and current heart beats used up and you will arrive at the amount of time you have left. I think the real question people mean to ask is when will I die? and they confuse that question with how long am I expected to live?,no one but your maker knows the exact moment of your death because only your maker knows your very first heart beat,that is not to say that the information is not available to us,because it is all coded into our birth date and natural birth names and the best way I can illustrate this point is by using an example that is all around us ,look around your kitchen,bathroom,refrigerator for that matter even you wallet,pick up any packaged product and look at it carefully,you will notice a bar code printed on it,try to read the series of numbers representing the codes,well those numbers mean absolutely nothing to you but to the maker of that product those series of numbers represent every piece of information about that product,so too it is with us humans our maker encoded all our vital information into our date of birth and birth names,eventhough we do not yet have the ability to read these codes,and the mu-ji-man codes is the beginning of achieveing such a feat. So the answer to the question how long have I got left ? 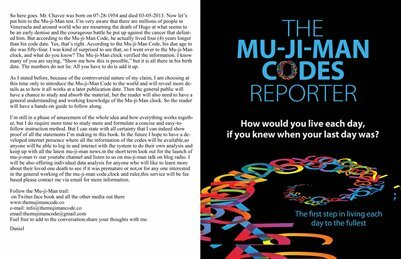 is to know your mu-ji-man codes and then use the mu-ji-man ruler to measure how much time you have left,to know your date of death learn to read and analyze your mu-ji-man codes data,because its all coded in your birth date. The mu-ji-man codes will like to extend sincere condolences to the family,friends and legions of fans of mr. Hoffman.He was a very talented actor and will be missed greatly. There are speculations as to what caused mr.hoffman’s demise,however here at the mu-ji-man codes we do not report on those issues but instead focus our attention on what their mu-ji-man codes are and wheather they excedded their mu-ji-man codes.Based on the information encoded into his birth date he was coded to die at the age of 53,so he died 6 years before his coded age.